What a crazy busy week! I had a couple of doctor appointments on Sunday afternoon but apart from that it was quiet. 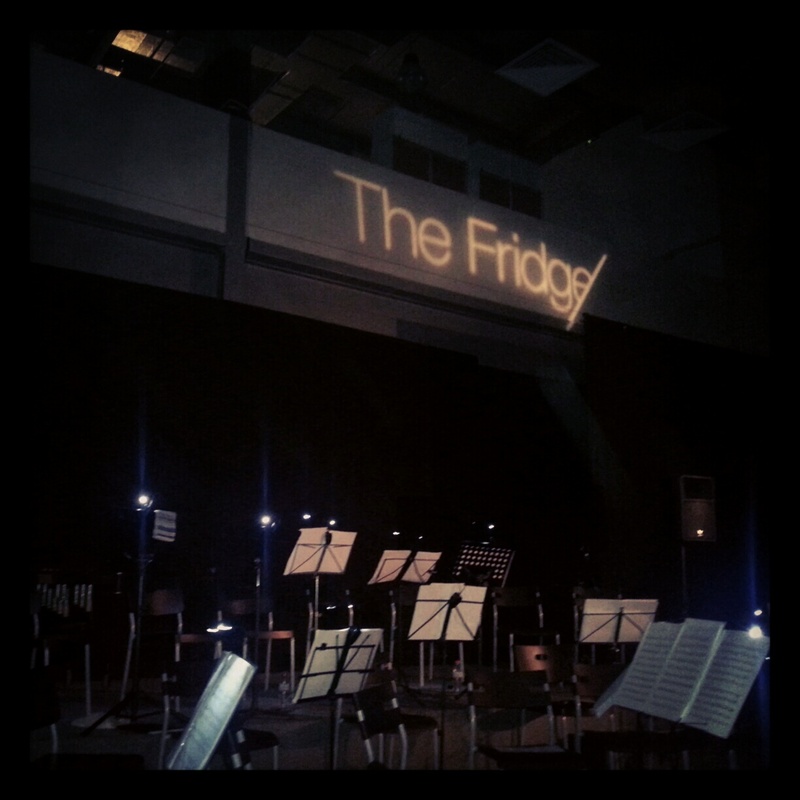 On Monday evening I went to see the Dubai Chamber Orchestra at The Fridge in Alserkal Avenue. 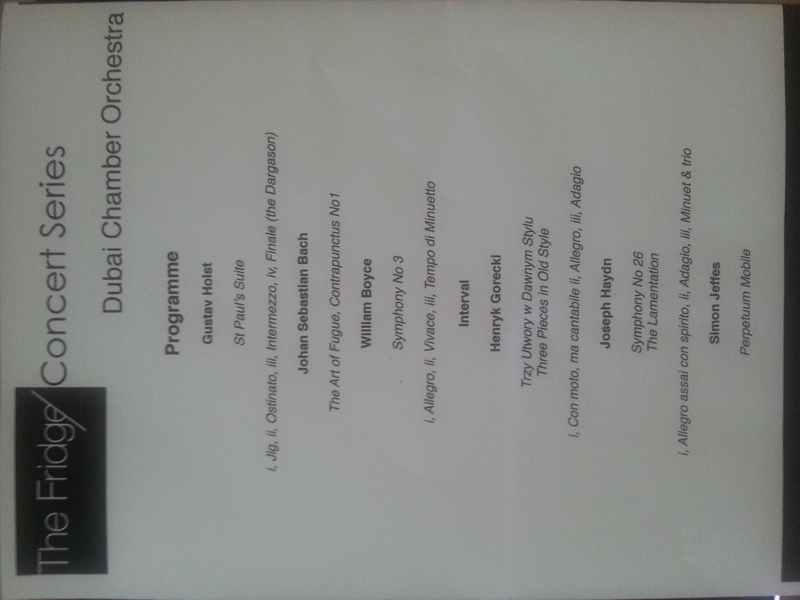 I didn’t even know Dubai had a chamber orchestra. I didn’t know any of the music, but the last piece sounded very familiar. I then realised it used to be the music for the advert of a mobile phone company but can’t remember which one. Any ideas? On Tuesday evening my cousin and I went to see the Dubai Duty Free Tennis Championships at the Aviation Club Tennis Centre. We went last year too. We watched the whole Djokovic v. Troicki game. 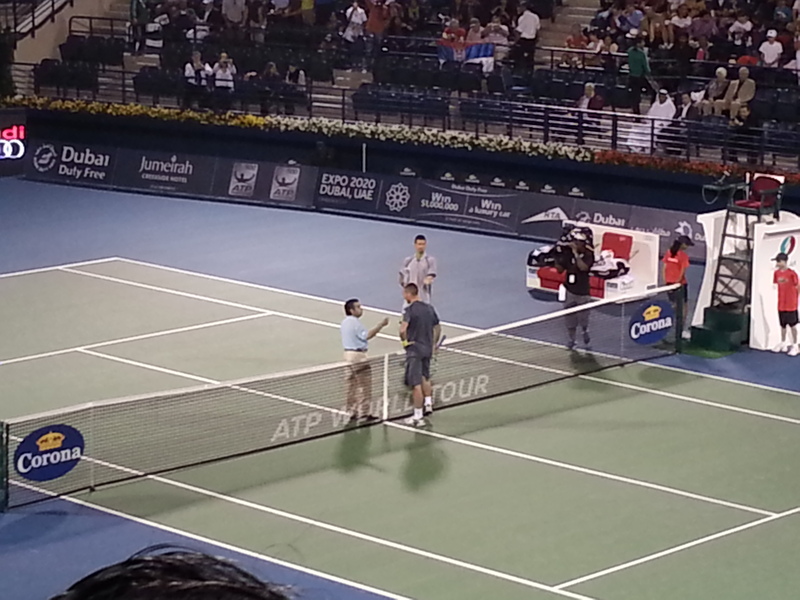 We also saw the first half of the Tsonga v. Llodra match but left as it was after 9pm and we were getting hungry. We had reservations at Shogun, a Korean/Japanese/Thai restaurant, at the Al Ghurair Centre in Deira. We managed to find the restaurant and were taken to a small room with two tables in it – each table had the built-in barbecue to cook our food. 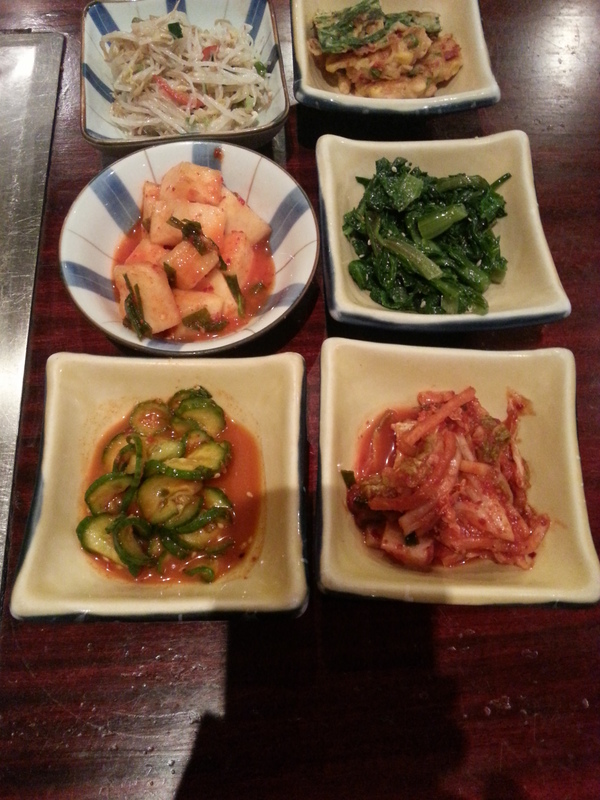 We ordered the pah-jeon, barbecued chicken and beef. We didn’t have to order the kim chee as it was complimentary. The portions are huge and we could have done without one of the dishes! On Wednesday night I went to Art Night at DIFC. I was meeting a friend at 8.45 but decided to go a bit earlier to get out of the house. I walked around for a bit and bumped into a friend of mine who was kind enough to ditch his colleagues to walk around with me for a while. My friend showed up as soon as he left and we went to the rest of the galleries. There were some interesting pieces of work but nothing that I’d want to see every day in my home. After we were done, we went to Roberto’s for a drink with a couple of her friends. It was too crowded in there and there was nowhere to stand so we had one drink and went to Capital Club. The four of us sat in the sheesha terrace – we were the only people there and it was quiet so we could actually have a conversation. I had my usual piano lesson on Thursday afternoon. I think we actually had a breakthrough because at 1.20pm I got a text from my teacher saying he was running 20 minutes late. I told him it was fine – and that I’d see him at 2.20. I don’t mind him running late as long as I have enough notice! I had a good lesson – still working on ‘Solfegietto’ and the ‘The Heart Asks Pleasure First’. I feel like I’m actually getting somewhere. I’ve been trying to practice at home, but the only time I can really do that is when my parents are out. When they’re home, either the TV is on or they’re sleeping, so it’s not ideal. That night I met up with a couple of friends – we decided to go to Zuma for some drinks. We had three bottles of wine between the three of us and it was just too much. My parents were still out when I got home (thank goodness) and I went to bed. I felt like rubbish on Friday but had a work deadline for that afternoon. I spent 4 hours copyediting a paper and had to incorporate equations and all sorts of formulae into it. It was a nightmare. That night, me and my two friends from the night before went to the 80s Rewind concert at Festival City (where the Jazz Garden had been the week before). We’d been hearing about it for weeks: the line-up included Carol Decker from T’Pau, Heaven 17, ABC, Howard Jones and Rick Astley. Carol Decker went on first – she sang only two songs that I could remember (‘China in Your Hand’ and ‘Heart and Soul’). Heaven 17 were on next and I could only remember two of their songs (‘Come Live with Me’ and ‘Temptation’). I actually knew more ABC songs than I thought I did (‘The Look of Love’, ‘When Smokey Sings’, and a couple of others). When Howard Jones came on, I really couldn’t remember anything he sang until he started singing! He played ‘New Song’, ‘What is Love?’, ‘Like to Get to Know You Well’ and some others I sort of recognised. Each band did about 20 minutes on stage. And then Rick Astley came on. He sounds the same, and he looks almost the same – he has hardly aged! He was on stage for about 40 minutes and interacted with the audience a lot, especially a couple of people at the front. He sang all his hits. Did you know that he holds the record for being the only male solo artist to have his first eight singles reach the Top 10 in the UK? He sang his usual hits (‘Whenever You Need Somebody’, ‘Together Forever’, ‘It Would Take a Strong Strong Man’, ‘She Wants to Dance With Me’, ‘Cry For Help’ and a few others). He finished with ‘Never Gonna Give You Up’. After that we ran to the taxi stand and luckily had to wait just 20 minutes in the queue. On Saturday my parents and I had lunch at Long Yin at the Meridien. When I checked in on Foursquare I was told I’d get a 20% discount off my total bill. Nice! The food was good – we ordered dim sum, which came in little baskets big enough for just two dumplings. We also had some soup, and for our main course we had lamb with rice. After lunch we went to see Parker at the Dubai Mall. I personally thought it was better than the Die Hard movie we’d seen the week before, although Jennifer Lopez is looking a little ‘tired’. We went home after the movie and I got into my pajamas. What a week!